The Soft Coated Wheaten Terrier is an alert and lively dog with a proud carriage and a happy-go-lucky dog attitude. Take a closer look at the breed and see if this might be the perfect dog for your family. The Wheaten's most distinguishing feature is the one it was named for - its coat. This dog has a soft, slightly wavy single-coat the color of light wheat. You'll usually find a few blue-black guard hairs dispersed amongst the wheat coat, as well as some darker fur on the ears and occasionally on the muzzle. Most Wheaton pups start out life a shade of reddish gold; but the color lightens as the coat matures, usually around two years old. If you love the typical plucky character of a Terrier, but could do without the extra aggression they sometimes display toward each other and other dogs, you'll probably be very pleased with the personality of Wheatens. These dogs are prized for their fun-loving nature, and they make steady companions in the home. Outside the home, the sky's the limit. Wheatens are up for all sorts of activities. If it involves going to new places and meeting new friends, count them in. In fact, these dogs are notorious for never having met a stranger. Although they will bark to alert you to company, they will also give everyone the famous "Wheaten greeting", so they cannot be counted on as guard dogs. These dogs are good with children, and they can get along well with other pets of similar size, as long as they have been properly introduced. However, their Terrier ancestry should be kept well in mind if you keep smaller pets such as guinea pigs and birds. A Wheaten may perceive them more as small game than house companions. Beauty and wonderful personality aside, Wheatens can be a bit difficult to train. This mainly seems due to their buoyant nature. It's difficult to hold their attention through standard training sessions to teach them what you want them to know. They sometimes also display the trademark Terrier stubbornness, so training is best accomplished using gentle tactics. Training should take place in small doses, and if you can make it fun for your pet, so much the better. Praise heartily when your pet is able to carry out your commands, but avoid being harsh when he doesn't. These dogs are a bit soft tempered compared to other breeds in their group, and if you're not careful you may wind up with a sulking dog that isn't currently interested in anything you have to offer. Clicker training can be especially useful with this breed. Wheatens have a lot of energy and very inquisitive minds, so they need a lot of exercise and mental stimulation. Plan on taking brisk walks of at least 30 minutes daily, so your dog can explore the neighborhood. These dogs also love to play, so make time for a rousing game of fetch or Frisbee as often as you can. Although Wheatens are single-coated, the coat's thickness varies, depending on where the breeding line is from. Irish and American blood lines tend to carry heavier coats, while English-bred lines tend to be a bit lighter. This breed's coat is unlike that of other Terrier breeds. In addition to being soft rather than harsh, the hair also keeps growing, so considerable grooming is necessary to keep these dogs in shape. These dogs do not shed seasonally like other breeds, so any loose hairs are usually retained in the coat and cause mats to form unless the dog receives several good brushings each week. Clipping the coat helps keep the job from becoming overwhelming, and the following video shows how to properly trim a dog to achieve that classic Wheaten look. Bathe the dog as needed, but once or twice a month is usually enough. Since the ears fold over, it's very important to swab them out once a week to prevent bacteria from building up and causing an ear infection. The nails should be kept relatively short to prevent them from snagging. The average Wheaten will live up to 14 years barring any health issues. That said, there are several genetic conditions identified with this breed. Renal dysplasia - This is a form of kidney disease that often sets in while a dog is still a pup. Protein-losing nephropathy - This is a condition whereby protein is lost through the kidneys. Hip dysplasia - This is a degenerative joint disease that causes pain and limits mobility. Progressive retinal atrophy - This is a degenerative eye disease that leads to blindness. Soft-Coated Wheaten Terriers come from Ireland, and are one of several popular breeds that originated on the Emerald Isle. As with many breeds, the earliest history of these dogs is a bit sketchy, but popular lore contends that a dark blue dog once jumped off a Spanish galleon, and subsequently mated with some of the local Irish Terriers. The resulting pups supposedly became the foundation stock for the breed, eventually developing the characteristics of the Wheatens people have come to know and love today. It may interest you to know that, according to the breed history at the American Kennel Club, this breed was once considered beneath the nobility of Ireland, and it was relegated to the farming class. The dogs performed a variety of jobs around the farms, including hunting vermin, working cattle and flushing game in the field. The breed wasn't officially recognized in its native land until 1937 and finally gained entry into the American Kennel Club in 1973. LoveToKnow doesn't endorse any breeder. The following breeder listings are offered for your information. You should thoroughly check out any breeder you consider doing business with before making a purchase. SCWT Club of America - The club offers a listing of breeder members in good standing. You can search for breeders by state. Canadian Wheaten Breeders - These are breeders in good standing with the SCWT Club of Canada. 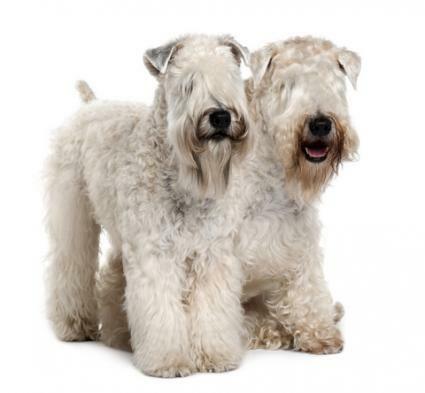 Dog Breed Info Center - Here you'll find a mix of Wheaten kennels as well as Wheaten crossbreeds. Breeders.net - Although you'll find SCWT breeders listings at this site, there does not appear to be a screening process, and any breeder can register to advertise their dogs for sale. Like many other breeds, there are always Wheatens in need of a good home. If you prefer adopt a dog rather than purchase a new puppy, one of the following organizations may be able to help you. S'Wheat Rescues - This organization offers adoptions of purebreds as well as Wheaten mixes. They also accept applications to become a foster parent. 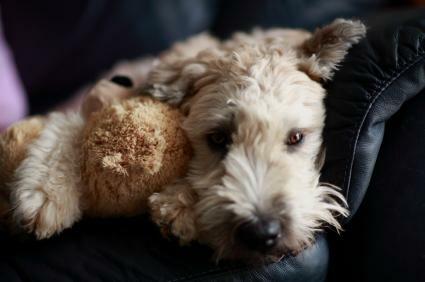 Wheatens in Need - The organization is a network of foster homes that facilitate adoptions across the USA and Canada. SCWT Club of Greater Tampa Bay - This is the rescue/adoption division of the club. SCWT Rescue - This site gives you the option to search for needy Wheatens by state. Wheatens are recognized by many dog clubs around the world. The following clubs are devoted specifically to this breed, and they offer a wide range of learning opportunities. Soft-Coated Wheaten Terrier Club of America - This is the parent club of all the other Wheaten clubs in the USA. SCWTA of Canada - Read the Canadian breed standard and check out their photo gallery. SCWTC of Great Britain - This club's main mission is to protect and maintain the breed's type according to the club's standard. They also offer info on owning and showing these dogs. These books can also help you get to know this breed better before you begin visiting breeders. 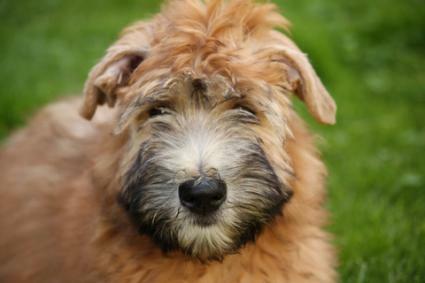 Is a Wheaten the Right Dog for You? 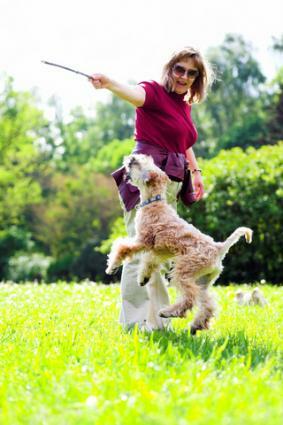 Wheaten Terriers make affectionate, amusing companions, but they are not without their challenges. Keep in mind that they need a good deal of coat care to keep them looking good, and that training requires dedication on your part. Honestly, you should only consider bringing a Wheaten into your home if you can give one the attention and care it deserves. Then again, that's good advice for any breed.